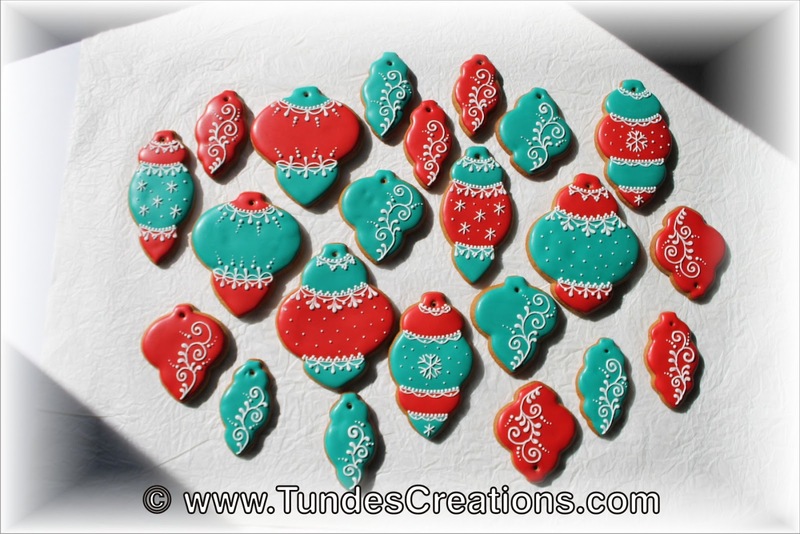 My dear friend, Tammy has mentioned that she was planning a teal and red Christmas this year. She also told me she has purchased the ornament cutter set I designed for Cookie Cutter Kingdom, because they reminded her of her childhood Christmas. 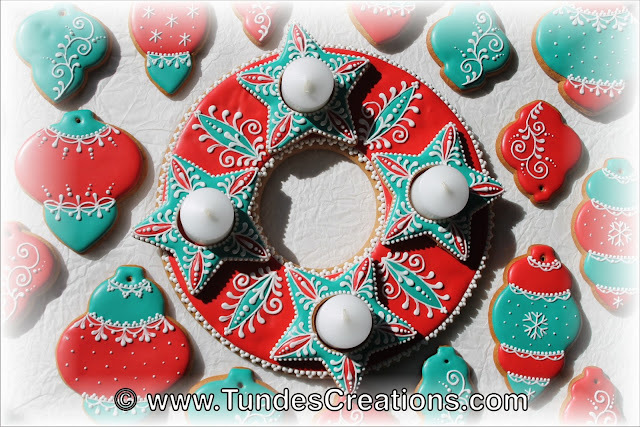 I decided to surprise her with a cookie set and, of course, I made the ornament shapes she loved in teal and red. I left the accents white as I did not know if she wanted gold or silver accents or not. 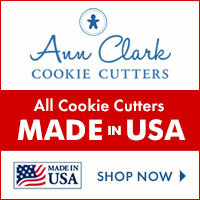 Luckily, she is a cookie artist herself, and she is also the owner of 2T's stencils. They carry the most amazing DinkyDoodle airbrush colors, so she can add some shine to the set later if she wants. 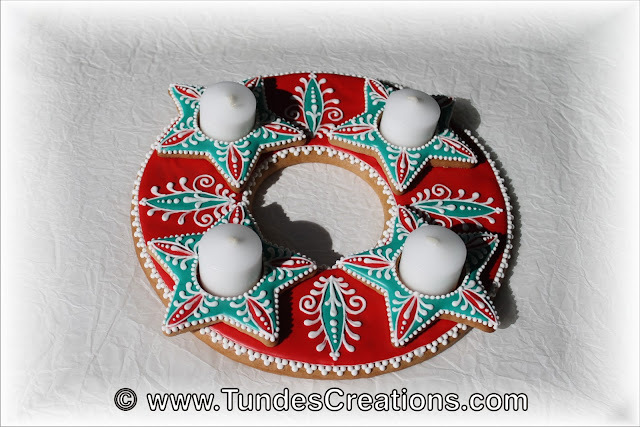 I also made her an advent wreath centerpiece to complement this set. Are you almost ready for Christmas too?